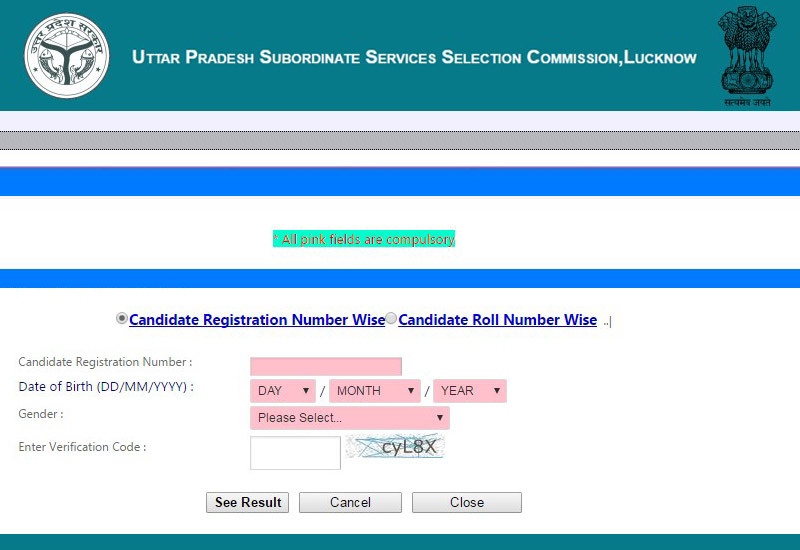 The Uttar Pradesh Subordinate Services Selection Commission (UPSSSC) was conducted the Lower Subordinate Services exams on June 26, 2016. The candidates are eagerly waiting to view their results those who all appeared on this exam. The official website declared the Lower Subordinate Results 2016. Get the guidelines along with the direct result page link here in this page. The Official website had announced the vacancy numbers for the Lower Subordinate Services-1 as 296 posts in the Advt. no. 18-EXAM/2015. Also, for the Lower Subordinate Services-2, the officials released the notification for 690 Post in the Advt. No. 19-EXAM/2015. So, the thousands of candidates were applied for this written examination and also appeared on the exam date. The UPSSSC is the Uttar Pradesh authorized organization to conduct various examinations to fill the vacancies of state government posts. So, the Lower Subordinate Services-1 & 2 is also one of that. Kindly Click the Direct Result Button Provided here below. OR Follow the steps to get the result page from the official Homepage. Visit the UPSSSC official website (the website name is provided in the table). Next page will open along with the result page link. Click the Link and go to the next page. Here, the candidates need to fill all the pink colored space such as Candidate Registration Number, Date of Birth, Gender, and Verification Code. Now, click ‘See Result’ button. Save or Download or take a print for the further use. Click the above direct result page and save your time and data. Stay tuned with WORLDHAB for More latest updates and News around the world.